If you have a multi-tap transformer and are not familiar with it read our transformer articles before you begin. 300-Watt Multi-Tap Transformer interior view. Click to enlarge. Once you’re ready to go check your transformer to make sure the connections are secure and all of the strands are firmly secure in the taps. 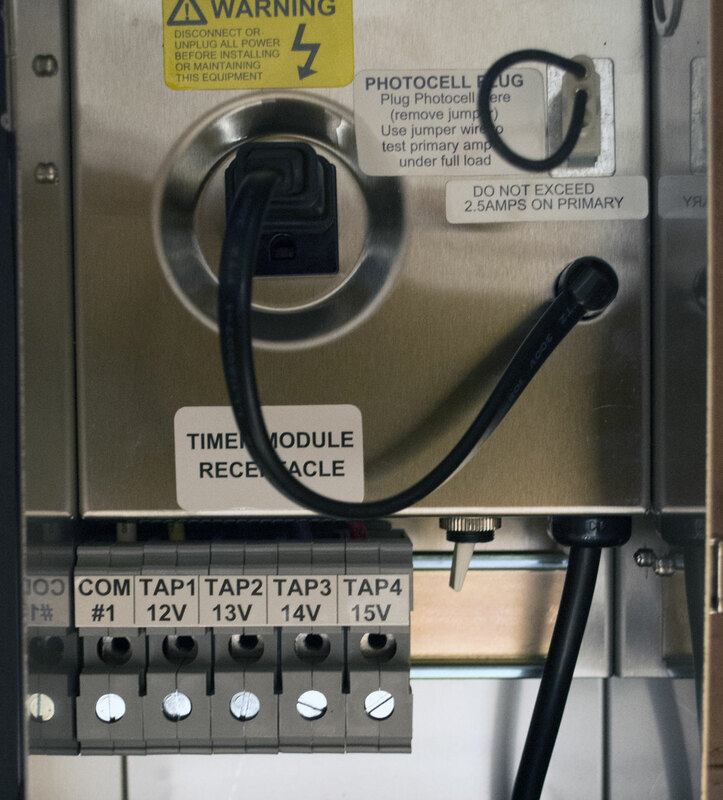 If there are issues they must be corrected as loose or faulty connections can present a safety hazard and cause a fire. While you’re at it check any hub that you may have on your system. They must have firm, secure connections. If necessary re-strip the wire and establish new connections. Go from fixture to fixture and make note of which is working and which isn’t (we’ll determine the problem later). You’ll want to make note of which fixture needs to be re-aimed or reset. You will also want to note what pruning needs to be done. 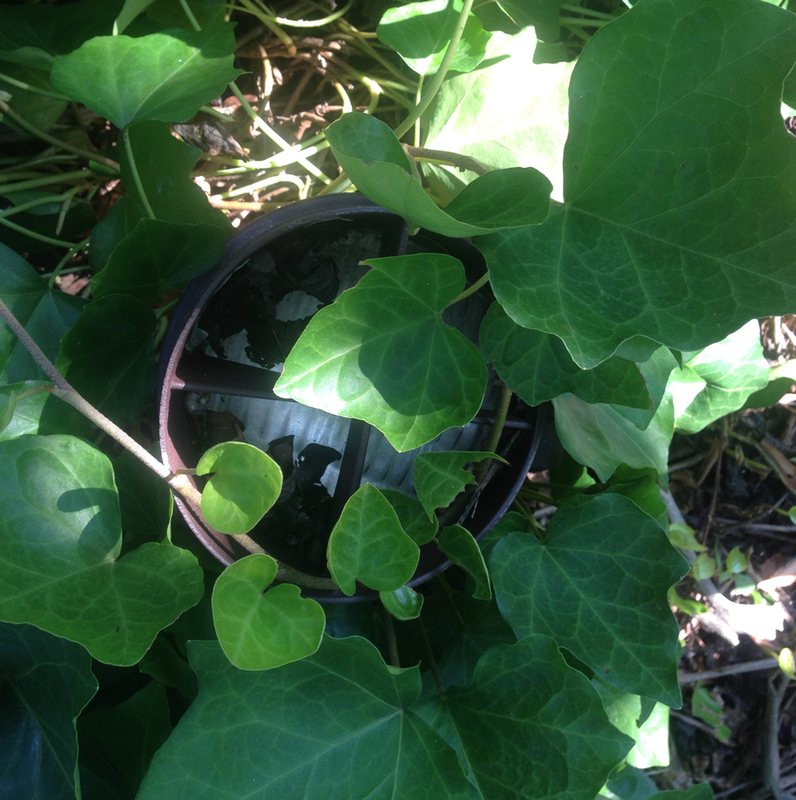 Leaves and limbs between the fixture and the subject will create shadows and should be pruned. You may not get this part perfect so you might want to make a second check after dark to double-check. Look for shadows on the house and soffit and trim as necessary. If you have a large system you may consider ‘flagging’ each fixture. This helps you not miss a fixture and you can also remove the flag from each fixture after you’ve taken care of the maintenance. Now that you have a general understanding of what needs to be done you will need to work your way through your property and take care of each fixture as you go. Before you begin make sure power is turned off. Leaving the power connected can lead to serious injury. Make sure the bulbs are cool before you get started. Remove dirt, leaves, and other debris that may have collected around the fixtures. Wipe away any dirt and debris from the outer casing. Open fixture and replace the bulb (if necessary). Either way apply a dab of electrician’s grease over the contact holes on the ceramic socket. This will inhibit corrosion. Clean the reflector (if there is one) with a soft cloth. Remove and clean the O-ring with the cleaning solution and rinse and dry the O-ring. Clean out the O-ring cavity with a toothpick, toothbrush or Q-tip. Clean the fixture lens with glass cleaner and make sure it is dry. Replace glass, O-ring and close fixture. Spray fixture knuckle screws with WD-40 and make sure they are moving free. Set the fixture knuckle at the correct angle. If you have a cracked or broken stake replace it now. Use the towel or heavy-duty paper towel to apply soap solution to the outer fixture casing. Clean it and dry it thoroughly with the towel. Use the soft bristled brush, tooth pick, or Q-tip to remove dirt from crevices and under/around any decorative accents. Rinse the piece thoroughly by dampening a clean cloth with plain water and wiping away all soap and cleaning residue. This is an important step as the residue will turn white and be more difficult to remove after it has dried. You now have a choice of repeating this process from fixture to fixture and powering the system at the end or powering the system after each fixture has been maintained. If you are working in a group a long way from the transformer you may want to tackle the group and then power the system to make sure the lights work. If you have the time and energy you may want to power the system after you maintain each fixture. The reason I bring this up is if you have fixtures that were not working before you began your maintenance, the problem might not be your bulb. If you check each fixture by powering the system after each one you’ll have an easier time determining the problem. 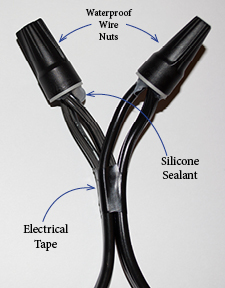 Waterproof silicone filled wire nuts are necessary for a long-term connection. If it happens that you still have a fixture that doesn’t work after doing the maintenance and installing a bulb you may have a problem with the connection where the fixture lead connects with the power line. Find the connection, if you have ‘clips’ then jiggle them. The fixture may flicker indicating a ‘bad’ connection. Clips are notorious for failing after a few years. Cut them out and replace them with waterproof wire nuts. If the connection isn’t the problem, make sure you have power to this location through your home-run line. Use your voltmeter for this. If you don’t have power then you’ll need to backtrack until you find the cut/break. If you do have power connect your fixture and you should be good to go. If you have power and the fixture still doesn’t work then you probably have a bad wire in the fixture and or a bad ceramic seat/socket. Repairing these issues is possible but beyond the scope of this post. Finally, before you leave make sure the timer is set correctly and make sure the photo cell works by covering it for a few minutes. Abulous Lighting has experienced and professionally trained landscape lighting crews. This article has illustrated how to keep your outdoor lighting system in top condition. If you don’t have the time or inclination for this type of work we can help. 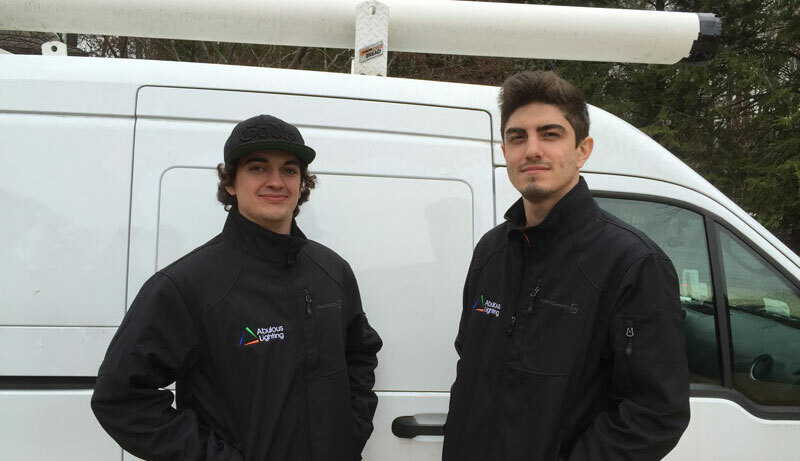 We offer annual maintenance agreements.. Our services are competitively priced and keeping your system in top condition will save money in the long run. Click on the image above to sign up for the drawing to win a free path light.